The dean of the law school at Berkeley explains why Trump’s move violates basic tenets of the separation of powers. Listen to Erwin Chemerinsky on the Start Making Sense podcast. Erwin Chemerinsky is the new dean of the law school at Berkeley. He’s the author of 10 books, most recently, Closing the Courthouse Doors: How Your Constitutional Rights Became Unenforceable and Free Speech on Campus. He frequently argues appellate cases, including in the Supreme Court. This interview has been edited and condensed. Jon Wiener: We’ve been worrying ever since Trump took office about how he would use the pardon power the Constitution gives the president. Last Friday night, Trump issued his first pardon: It was for Arizona Sheriff Joe Arpaio. For more than 20 years, Arpaio and his officers had terrorized Latinos in Southern Arizona. They ran sweeps of Latino neighborhoods, arresting people on various charges, abusing and humiliating others. Many of those who were arrested were sent to his tent city, which Arpaio himself proudly called “a concentration camp,” where they lived under brutal conditions. Finally, the Department of Justice charged him with racial profiling. What happened then? Erwin Chemerinsky: In 2011, the Justice Department issued a report saying that Arpaio was engaged in a pattern and practice of unconstitutional policing. For example, it found that one-fifth of the stops of Latino drivers were done without probable cause or reasonable suspicion. The report said that Arpaio’s office treated every Latino as if he or she was in the United States illegally. A civil suit against the sheriff—not an action by the Justice Department—came before a federal judge, a Republican appointee: Judge G. Murray Snow. He issued an order prohibiting Arpaio and his Sheriff’s Department from continuing to engage in racial profiling. Arpaio was openly defiant. Snow held a hearing and found that Arpaio willfully violated the court’s orders. He found cause to hold a new hearing, as to whether or not Arpaio should be tried for criminal contempt of court. That case was assigned to another federal-court judge, Susan Bolton, and she convicted Arpaio of criminal contempt, of flagrant disregard of Judge Snow’s 2011 court order that Arpaio cease racial profiling. Sentencing was scheduled for this October. JW: Trump replied to critics of his pardon of Sheriff Joe by noting that Bill Clinton had pardoned Marc Rich, who had been convicted on 65 counts of tax evasion, but whose wife had given hundreds of thousands of dollars to the Clintons. Trump also pointed out that Obama pardoned Chelsea Manning, who was convicted of violating the Espionage Act after releasing hundreds of thousands of documents through WikiLeaks. Is Trump right that these pardons by Clinton and Obama are no different from his own pardon of Sheriff Joe? EC: I really think that this one is different. This isn’t a situation where somebody is being pardoned for violating a federal criminal statute. Instead, this is a pardon for violating a judicial order. When the president issues a pardon for criminal contempt of court, he’s interfering with the ability of another branch of government, the judiciary, to perform its constitutional duties. A basic principle of constitutional law on separation of powers, often reaffirmed by the Supreme Court, is that one branch of government cannot interfere with the ability of another branch to perform its constitutional responsibilities. JW: Of course, there’s one other pardon: the most famous presidential pardon of all, Gerald Ford pardoning Richard Nixon after he resigned. 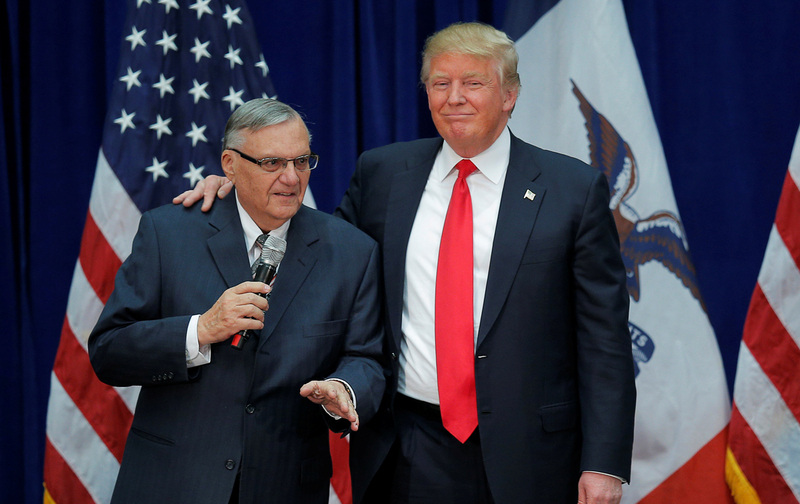 Is the Trump pardon of Sheriff Joe more like that? EC: Each of the pardons you mentioned is different. Gerald Ford pardoned Richard Nixon to try to heal the country. 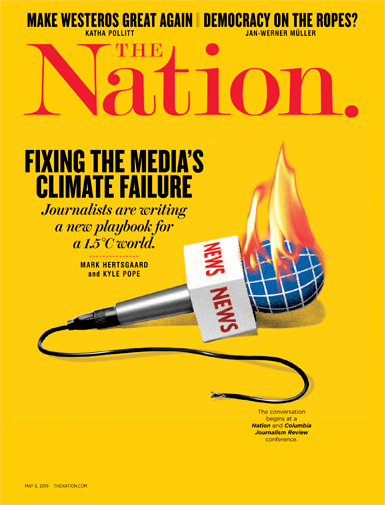 Watergate had so obsessed the nation, Ford felt that nothing would be gained by a trial and conviction of Nixon. I think President Clinton’s pardon of Rich was outrageous. It was as if somebody had purchased a pardon, and we should be critical of the president for that. President Obama’s pardon on Chelsea Manning was also quite different. That was a situation where what Chelsea Manning did had an enormous benefit to the public interest in learning of the NSA’s unconstitutional and illegal surveillance. And the sentence that Chelsea Manning received was so out of proportion to the circumstances. All of those were pardons for violating federal statutes. None of them was like this one, a pardon for violating a judicial order. But I want to make something clear: In 1925, in the case called Ex Parte Grossman, the Supreme Court said the president can issue pardons for criminal contempt of court. So President Trump had the legal authority to do this. I just think the Grossman case was wrong. JW: The Justice Department has an Office of the Pardon Attorney where, normally, people who are seeking pardons apply. The application says, “A pardon is not a sign of vindication and does not connote or establish innocence.” That was Gerald Ford’s position on Nixon. He was not vindicating Nixon. He was not saying, as Trump said about Arpaio, “he was just doing his job.” Trump is really saying the opposite of what the Justice Department describes as the function of the pardon. EC: It’s important to remember here that President Trump didn’t go through the Justice Department procedures for processing requests for pardons. Also, in this instance, the Justice Department was actually prosecuting Arpaio—for contempt of court. We now have reason to believe that President Trump went to the attorney general, Jeff Sessions, to try to get the prosecution stopped. Sessions rebuffed that request, and then President Trump issued his pardon. This is an extraordinary pardon procedurally, as well as in terms of the message that it’s conveying. JW: The implications of this pardon are ominous for the special counsel, Robert Mueller. EC: President Trump, in theory, could pardon everyone under investigation by Robert Mueller. That would effectively end the investigation. There’d be no possibility of a criminal prosecution. The response would have to be a political one. JW: Is there any way Trump’s pardon of Arpaio could be challenged in court? EC: Under current constitutional law, President Trump had the authority to issue this pardon. But I think it was unwise, and outrageous under the circumstances. It raises huge questions with regard to the rule of law. My hope is that the Supreme Court would reconsider its 1925 decision, Ex Parte Grossman. Principles of separation of powers are so much more developed now. It’s much clearer now that one branch of government can’t interfere with the functioning of another branch of government. The pardon power for criminal contempt very much does interfere with the function of the judiciary, undercutting the authority of courts to enforce their orders. JW: How would such a case come before the court? Who would have standing? EC: In theory, Judge Susan Bolton, the judge in the case, could say that, notwithstanding the pardon and notwithstanding Ex Parte Grossman, she believes the law has changed sufficiently that she can go ahead and sentence Arpaio. Arpaio would appeal, and the Ninth Circuit could then affirm Judge Bolton. Then it would go to the Supreme Court. I don’t foresee any of that happening, but it’s probably the best vehicle for getting this issue back before the Supreme Court. While it is true that Judge Snow’s order only explicitly enjoined the Maricopa County Sheriff’s Office from “detaining any person based only on knowledge or reasonable belief, without more, that the person is unlawfully present within the United States,” the order also found that the plaintiffs in the civil case, Ortega Melendres, et al. v. Arpaio, et al., had provided evidence from which a finder of fact could conclude that MCSO racially profiles Latinos and that Sheriff Arpaio had made statements that a finder of fact could interpret as endorsing racial profiling. What’s more, a second court order that Judge Snow issued in 2013 as part of the same civil case more pointedly prohibited MCSO from using “race or Latino ancestry” as a factor in their law enforcement decisions. According to federal prosecutors, Arpaio’s deputies continued to detain individuals only on the belief that they were undocumented for months after the original order.